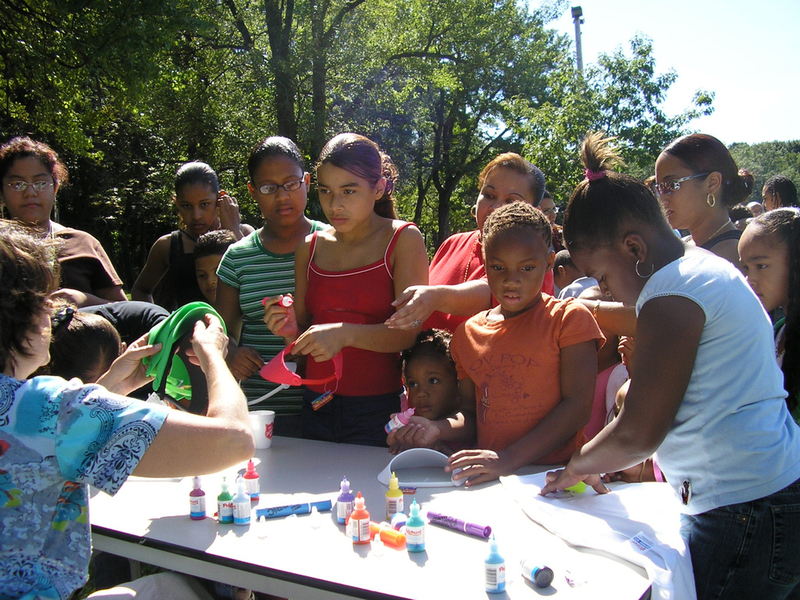 What follows are fun, easy, and inspiring ideas for your National Neighborhood Day gathering. These ideas come from a combination of our own experiences and recommendations from our partners and several of the nation's leading community organizations. These are just ideas – you decide what works best in your neighborhood. The most important thing is that whatever you choose, those activities build relationships and connections among neighbors throughout the year. Please be sure to check out our Planning Guide for organizing your gathering. This "how-to" will help you get your gathering up and going quickly and easily. Assemble "Party Buckets" with bubbles, sidewalk chalk, etc. Flip chart for attendees to write down neighborhood project ideas, good neighbor activities, etc. Hands On Network is a nationwide network of service organizations. Click here to find your local affiliate and volunteer opportunities in your area. Habitat for Humanity builds houses and provides people with affordable housing. Click here to find your local affiliate and projects in your area. See additional ideas under Now What? Activites throughout the year. Invite your Mayor, city council members and/or other elected officials to attend – they will love to do this! Invite neighborhood firefighters and/or police officers to your gathering -great way for you to meet and learn the names of the people who protect and serve your neighborhood - plus kids love it when the fire truck comes to a gathering! Invite the community health center to set up a resources table at your gathering, hand out information and brochures, answer questions, discuss services, etc. Invite local Red Cross volunteers to attend, share resources, and conduct a CPR or first aid training. Click here to find the Red Cross closest to you.